The author of this review was a brand ambassador for Brooks-Range. Avalanches happen when there is strong snow over weak snow. Knowing the properties of layers within the snowpack is critical to evaluating hazard. However, knowing the exact density is admittedly a little nerdy. But there are cases when this is required - or at least helpful. 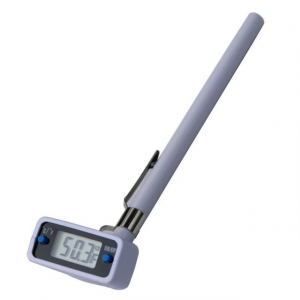 To know the exact density of snow, a density gauge is required. Guides and avalanche forecasters must be able to record snow densities. But as a guide, my pack is heavy enough as is. I don't like carrying around a snow science kit if I don't have to. Sometimes I know I have to carry it, other times I know I don't, and sometimes I am not sure if I'll use it or not. It is this final situation where I am thankful for the Scientist 100. It is tiny and weighs nothing. If we've gotten new snow, and I am going to want to share my observations with other professionals, carrying and using this doesn't weigh me down. 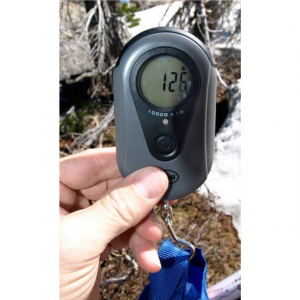 As a recreational backcountry skier, a density gauge isn't a bad idea. I can think of two particular situations where it is helpful. One, avalanche reports can often include information about snow densities and water content. 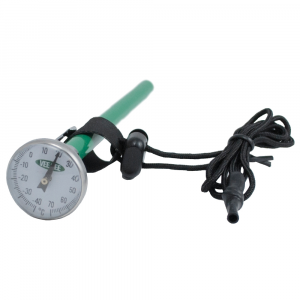 If you take measurements in the field, you will have a better understanding of the differences. The difference between 8% and 12% can be huge - it's nice to be able to identify the difference. 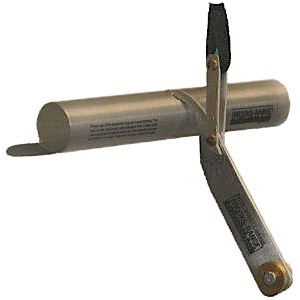 It's kind of like a slope meter in this regard. A second situation is when there is a change in density within the same storm. Sometimes storms can come in cold and finish warm. The snow will reflect this. But it can be challenging to feel this with a hand or pole. This is a time when a subtle change can have a dramatic effect on the hazard. This "up-side-down cake" loves to slough and slide. A quick check of the actual densities can tell you if you're dealing with this phenomena. The Brooks Range Snow Density Gauge 100 is a fantastic tool. 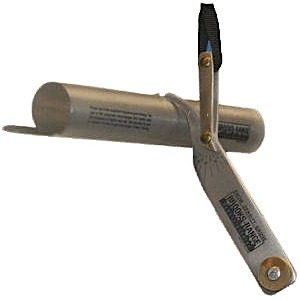 It is light, small, durable and accurate. It is easy to use. It is made in the U.S. from high-quality aluminum. 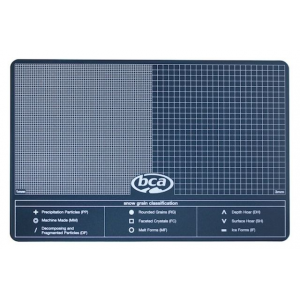 If you need a density gauge, or want to have a much better understanding of what is happening in the field, then you really can't get a more practical device than this. 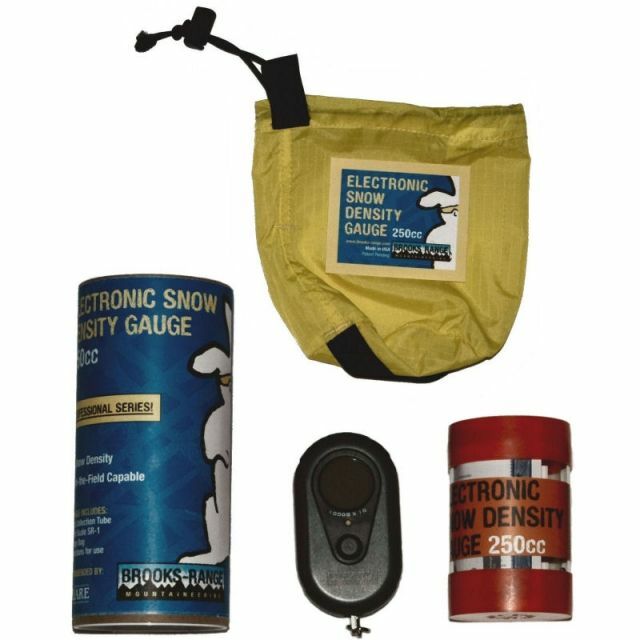 The Brooks-Range Pocket Snow Density Gauge 100 is not available from the stores we monitor. It was last seen January 15, 2013	at Mountain Gear.